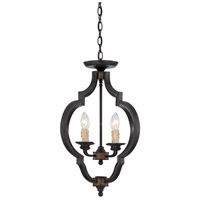 Searching for hanging lighting or semi-flush mount lighting with a rustic, vintage look? 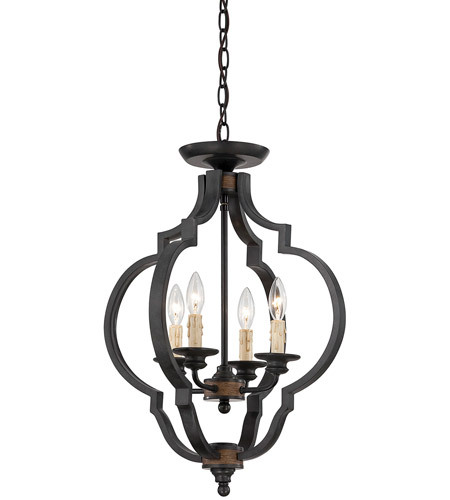 The Kelsey 4-Light Convertible Semi-Flush/Pendant from Savoy House is a great choice. A black metal frame surrounds four cream drip candle covers in this handsome design, featuring blackened brown Durango finish accents. 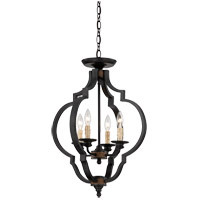 It’s beautiful in traditional, transitional and French country decors, and since it can be hung without the chain as a semi-flush ceiling light or with the chain as a pendant light, it’s at home almost anywhere. Use it as bath lighting, entry lighting or at the top of a staircase. Hang it over a kitchen island, breakfast nook, office desk or dressing area. 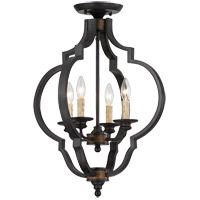 Wherever it goes, this convertible interior lighting fixture is sure to impress.